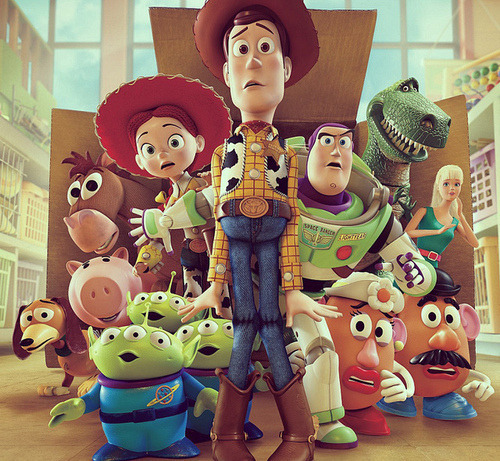 The "Toy Story" movies are such delightful stories, and really fun for all ages! I think the same goes for glitter, especially these, inspired by the charming and lovable Buzz Lightyear and Woody. 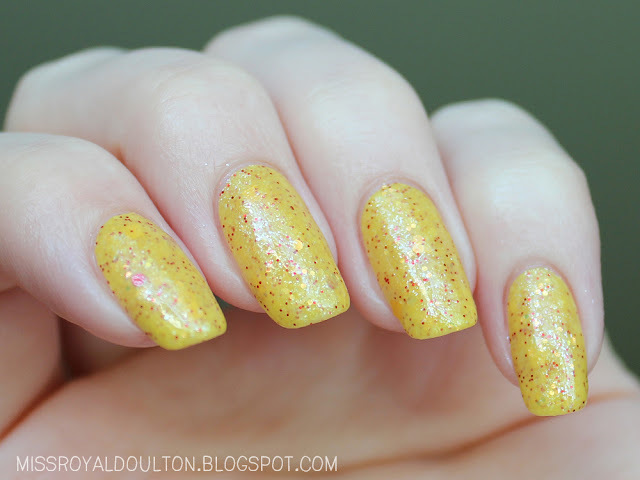 Here is a playful duo of polishes sent to me by Different Dimension, To Infinity and Beyond! and Reach for the Sky! 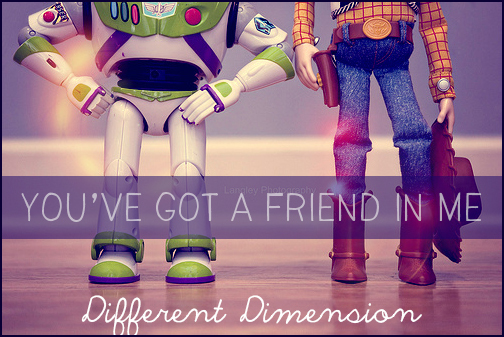 Different Dimension To Infinity and Beyond! Set lasers to stun and prepare for a glitter-splosion! 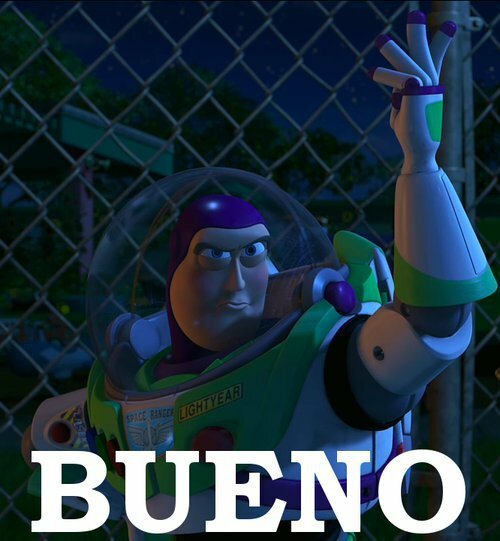 To Infinity and Beyond! is a bright blend of holographic and neon lime green, purple, and white squares, hexes and even rectangles in a clear base. And, it glows in the dark! 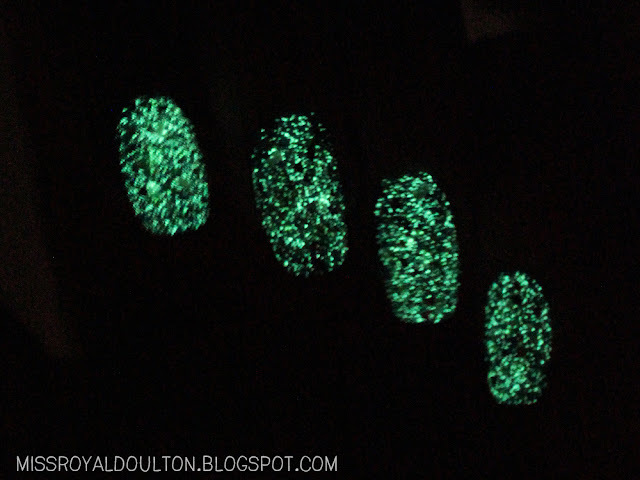 The perfect addition to an already awesome Buzz Lightyear-themed glitter. 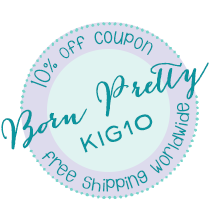 The formula was excellent and easy to apply. Here I've used two coats over China Glaze Fancy Pants, and a coat of Gelous to even it out. 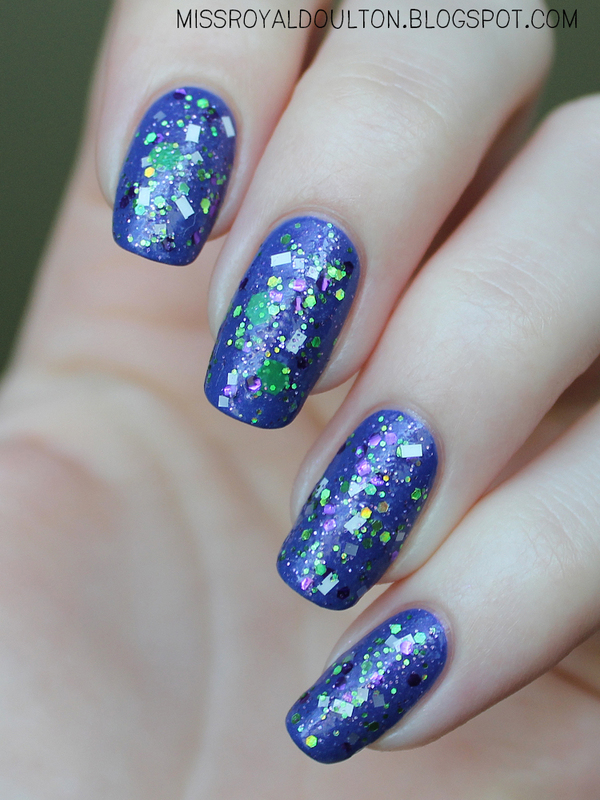 With metallic purple glitters like these you might notice some reflective curling, but it lies flat on the nail. I just adore how the lime green and purple look together! You've got that right! And here is To Infinity and Beyond! in all of it's glow-y glory. See all those teeny, glowing glitters? Different Dimension Reach for the Sky! Yee-haw! Next I have a glitter based on the cutest cartoon cowboy, Woody. Reach for the Sky! 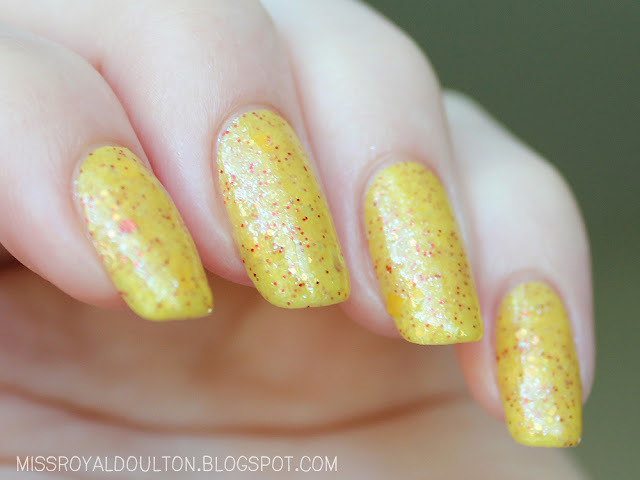 is a mix of red, yellow, and orange/green iridescent glitter, and tiny glass flecks, in a golden-yellow jelly base. Right away it made me think of Woody's yellow and red flannel shirt! Reach for the Sky! was a bit on the thick side, but not too difficult. I used between 4-5 coats to get it fully opaque, although it may be easier to layer it over a similar yellow. 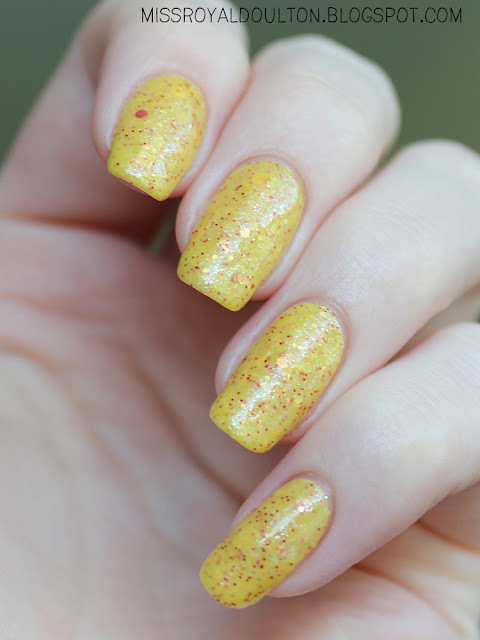 This sort of yellow doesn't really play well with my skin tone, but it would look very nice on warmer skin, or on anyone who just likes yellow! Different Dimension polishes are available for sale in her Etsy shop and on Llarowe. 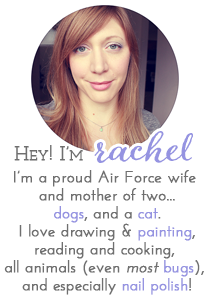 Also be sure to like her on Facebook for restock news and previews of new colors!